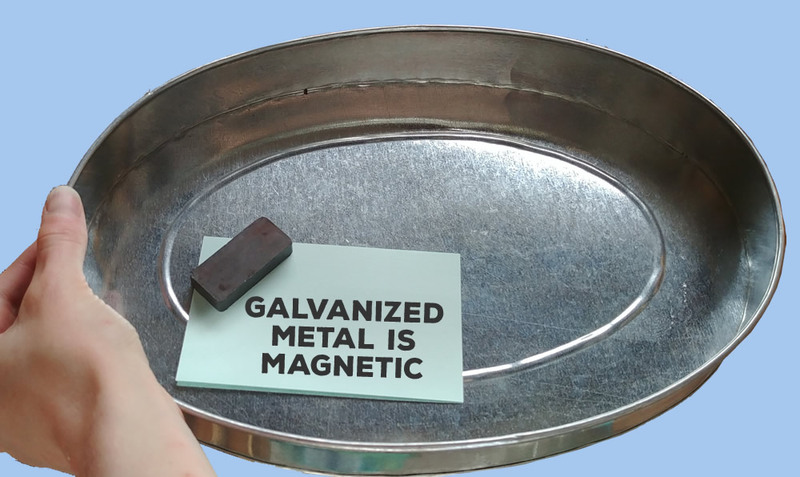 Galvanized steel is magnetic because the base steel metal is magnetic. Galvanized steel is covered with a thin layer of zinc and this process does not interfere with the magnetic strength of the steel. Related: What is galvanized metal? Not all steel metals are magnetic, however. Austenitic stainless steel are the most common non magnetic steels. Austenitic steels contain 16 to 26 percent chromium and up to 35 percent nickel and have the highest corrosion resistance. There are three main phases of steel. Steel phases are determined by the alloy content and thermal condition of steel. Two of these phases (Martensite & Ferrite) are magnetic and one (Austenite) is non-magnetic. Austenitic steel is already corrosion-resistant stainless steel by definition and there would be no sense in galvanizing it.